Welcome to our family-owned business, Sharper Edge Engines, where you can get a used engine for your Audi Q5 for replacement. 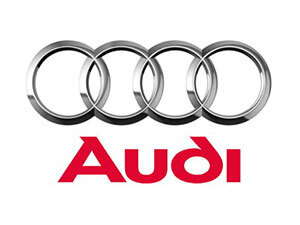 If your Audi has used a lot of oil, you frequented the dealer for repairs and ended up with engine failure, we can help. The problem rests with Audi's 2.0 liter TFSI engine. We are familiar with its issues. We hope that you and your family are safe in the meantime. Our clients come to us expecting to find permanent resolutions to the auto repair issues and that's exactly what we can do for you. It's important to understand that the 2.0 liter in your Q5 is finicky. It is also important for you to know that if you're not careful in which used used engine you choose, you might end up replacing it again. We can help you avoid this. A rebuilt Audi Q5 engine or a remanufactured Audi Q5 engine might be best depending upon your vehicle's condition. Call with your VIN. No purchase necessary. No email. Just helpful automotive technicians who do their job well. Quotes are FREE. All we need is your Audi VIN and the shop address. Let the representative know which part you need. We also provision other Audi auto parts and used transmissions like those for the Q5. Be choosy upon your selection of used engine dealers or you could end up with another bad engine. Some Q5 drivers were on their second engine replacement when they came to us. We can help you avoid this. Selecting the right type of engine replacement will do so. Which engine will resolve the issue completely? We'll tell you. No purchase or fees necessary. The information is free for you. Call us with your VIN. You've already been through enough. We're not trying to scare you for a sale. Frankly, customer complaints about this engine have been remarkable, its problems perpetual and the number of drivers forced outside of warranty is appalling. Our family has been providing used auto engines for thirty years. Every now and then the auto manufacturers can really put out some lemons, like this one. Not all vehicles with this engine installed are problematic, but it has been troublesome. All our Q5 clients came to us with an acute need to save as much money as possible. We can understand why. Don't settle for a seller who will take your money, ship any engine and call it good. We take the time to scour all resources for the perfect match at the perfect price. Turnover can be high, so call often with your VIN. It's free. Any purchase comes with our money-back guarantee. All histories are authenticated, thoroughly tested and hand-inspected by one of our own. You will not get this from anyone else. 30, 60 and 90-day warranties are available – in addition to our guarantee – on select used auto engines. You can tell us what has happened and check prices and availability. We'll let you know the ins and outs for your engine for free. We've got your Audi Q5 covered. Note: Engines are subject to availability. Call often. It's free.